Once again the entire Kapoor family came together to celebrate the 70th birthday of Babita Kapoor in Mumbai on April 19, 2017. 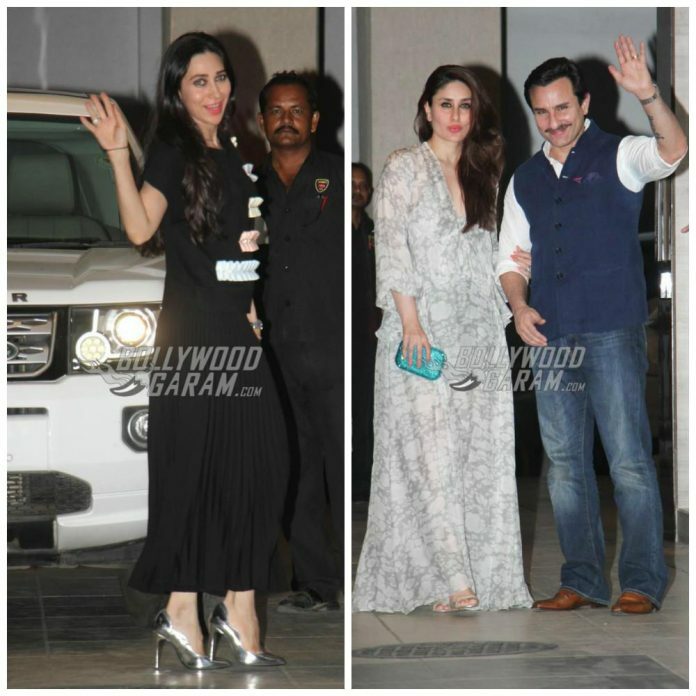 The grand party was hosted by Babita’s loving daughters Karisma and Kareena. 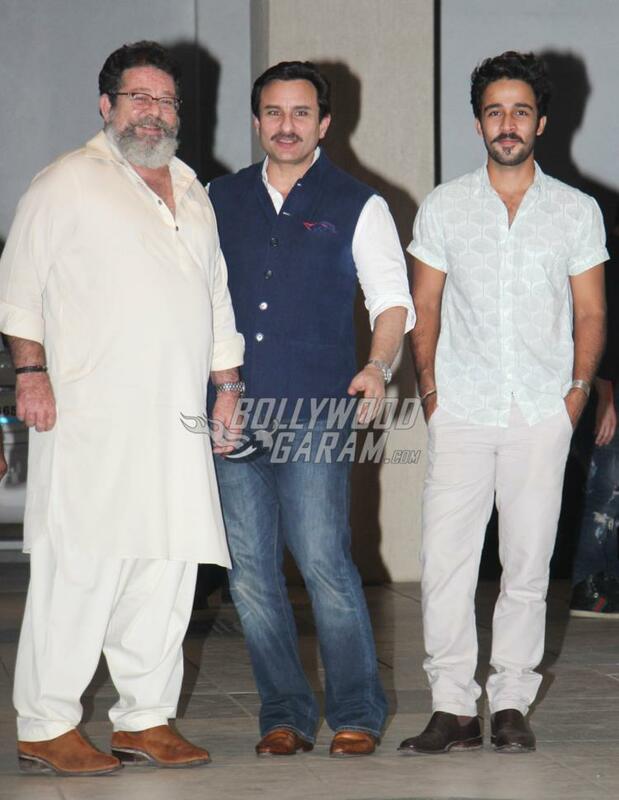 The party saw the attendance of the entire Kapoor family under one roof. Actors Kareena Kapoor, Karisma Kapoor, Saif Ali Khan, Randhir Kapoor, Rishi Kapoor, Sanjeev Kapoor, Neetu Kapoor, Reema Jain, Armaan Jain and others. Karisma’s children Kiaan and Samaira too turned up to celebrate their grandmother’s birthday. The Jab We Met Actress looked gorgeous in a light colored outfit with frills, while husband Saif looked dapper in a shirt, jacket and denims. 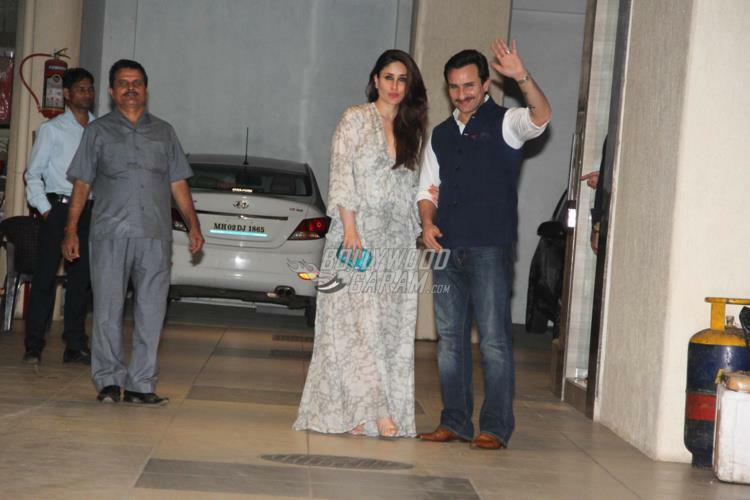 Saif and Kareena looked great as they posed and waved for the cameras. 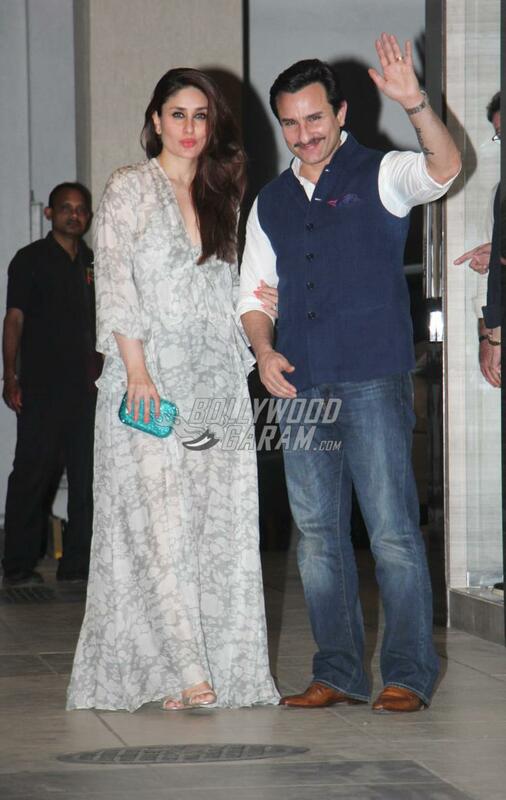 The couple arrived without son Taimur Ali Khan. Karisma was seen in a black outfit as she entered the party venue. Ranbir Kapoor seemed to have missed the occasion as he might have been busy with the shoot of upcoming Sanjay Dutt’s biopic. Babita has been a successful actress of her time but quit the world of showbiz once she got married to Randhir. Randhir Kapoor too celebrated his 70th birthday in February 2017, which was also attended by the entire Kapoor clan. While the Kapoor family is in a celebration mood, Karisma’s former husband Sunjay Kapur has got married to his partner Priya Sachdev in an intimate ceremony on Delhi. A grand wedding reception was thrown by the businessman in New York recently. After Sunjay even Karisma seems to be ready to take another plunge in to marriage with businessman Sandeep Toshniwal.